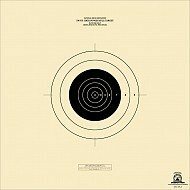 Home\Rifle Targets\SR-42C Rifle Target – centers for SR-42 – (Heavy Paper Stock) 200 yard target simulating 300 yards. 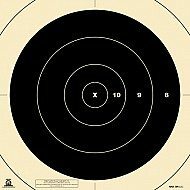 SR-42C Rifle Target – centers for SR-42 – (Heavy Paper Stock) 200 yard target simulating 300 yards. SR-42C – 200 yards simulating 300 yards, and this target is available in black bull’s eye. (25 targets per package) Centers include complete 8 ring. SR-42C rifle target for shooting at 200 yards, but simulates 300 yard target. (25 per package) (black) Can be used for slow fire rifle target shooting (dim 14″ x 14″). 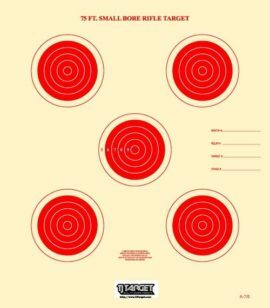 This target is printed on heavy paper and can be used for NRA competitions.